What inspires me to write in general is my passion for the written word–the various and sundry ways you can use the English language to convey a message. I’ve always loved reading and had this longing to be among those who wove the tales, not just someone who was on the receiving end of them. As a minority, early in my life there weren’t a lot of choices, so I’ve always desired to be among those creating choices for other people who look like me. I think what I wanted to see in Fifty Shades of Grey, but did not, is what inspired me to write my current book series. I wanted more diversity in Fifty Shades of Grey, sort of like my favorite TV Show, Grey’s Anatomy. I wanted a heroine who was a flawed, yet strong character, who could stand up to the male protagonist–one who didn’t have to be told that as a submissive she had the power. 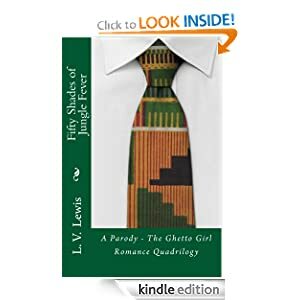 Also, I was very intrigued by what the Fifty Shades of Grey books have done in the industry, and I wanted to see how something similar with an ethnic flavor would be received. I am an organic writer of sorts, I suppose. I don’t follow a strict outline or plot map. I do write outines and summaries, but I rarely follow them to the letter. I generally veer from them dramatically, which usually necessitates the re-writing of said outline/summary. My process involves writing down the over-arching idea for a story and drafting a tenative plot outline. I have literally pages of these, and I keep them until the story calls to me like a siren and I can’t help writing it. As I write the story, the outline could change daily, and sometimes it becomes a completely different story than I first intended. I do both. Listening to them is generally what causes me to veer from my outline so much, and usually, their advice is exponentially better than anything I can dream up on my own. When I allow them to speak and I translate what they’re telling me to say on paper, a scene is much more intense, much more natural if it’s dialogue, and more cohesive as a narrative than when I force them to bend to my will. Talking to them usually takes the form of an argument, because I’m trying to convince them to kow-tow, but they’re some very persistent little buggers. My decision on how to publish was predicated on my age, primarily. I decided that since I’d waited until my nest was almost empty to write, and I was comfortably middle-aged, I didn’t want to waste away another five years or so querying agents. My first correspondence with an agent was when I was asked to send the 50-pager after the agent had seen another story I’d written. This was validating in and of itself for me, so I didn’t necessarily need to have an agent finally “bless” me with representation. I’d been reading so much about the burgeoning self-publishing phenomenon, and after seeing other writer friends do it, I decided this was my vehicle for publication. I advise new writers to do what they feel most comfortable with. I recently read this somewhere, so it’s not an original thought by any means. I believe the publishing industry will eventually come to some agreement on how the traditional publishing industry and the self-publishing industry can co-exist, sort of like the movie and music industries have done. However, this is all me: publishing is this generation’s big industry to undergo growing pains foisted upon it by independents or indies. I believe the two will come to a happy medium.